Ah, Kindergarten music class...it is at times so joyful and fun and at other times a bit daunting. I remember Kindergarteners being my favorite grade level while student teaching, and then I had my first year of teaching. I saw one class twice...in the same day...for forty minutes. I'm not kidding. Pair that with not having the best classroom discipline at that point and having a behaviorally challenging class, and it was an adventure! 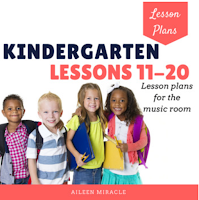 Things have gotten MUCH smoother since then, so I thought I'd share my tips for Kindergarten music lessons. I was once told in college that when lesson planning, you should think about the child's age and transfer that to minutes to understand their attention span. So, a five-year-old can handle a five minute activity before losing attention, a six-year-old can handle six minutes, etc. I have found this rule of thumb to be very helpful, especially in Kindergarten. My activities are typically five minutes or less, so we are doing many activities in a short amount of time, but all with purpose! 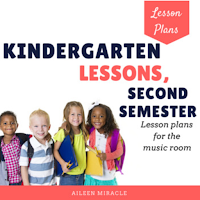 When I had 35 minute lessons, I would sometimes have 10 activities all in one lesson, but with smooth transitions from one activity to the next. You can read more about transitions in this blog post. I try to be energetic with all of my grade levels, of course, but with Kindergarten it is SO important. I once had a student teacher say it surprised her that you had to almost perform or act as a teacher, and it's so true. When you're having a bad day, you have to act like you're fine and dandy, and this is especially true with Kindergarten. I don't care if I'm tired or cranky or sick, I put a smile on my face and make myself high-energy. You lost a tooth? WOW! You have a boo-boo? I'm SO sorry! But then I quickly bring them back into the lesson and we're off again! I was also once told in college to look each child in the eye as much as possible, so while I'm smiling and rocking back and forth as I sing "Oh here we are together" (more on that in a minute) I am also looking each one of them in the eye and letting them know how happy I am they are in the room. Then comes the rest of the lesson. Of course, I'm not advocating for everyone to start their lessons the same way; this is just works for me. However, I think the routine is really great, especially for Kindergarteners. They love that they know what will happen...at least for part of the lesson! Singing the gathering song is also a wonderful way to help me learn their names, and to welcome each child to the class. When I first started teaching Kindergarten, I gave every single child a turn at every single game. That's what I was taught to do, and I didn't think to do anything different, partly because that's what I was used to, and partly because Kindergarteners so badly want a turn at everything! But then I started my training at Capital University's Kodaly program with Julie Swank, and heard her say the words "leave them wanting more." There is often just not enough time to give every single child a turn, and shouldn't kids learn that they don't always get a turn? I know, it's a tough lesson for some five-year-olds to understand, but it is still an important lesson! If you want, you could keep track of which kids have played which games to be completely fair. Other benefits of not giving every child a turn is that you will have more time for curriculum AND kids will be engaged, and wanting more! 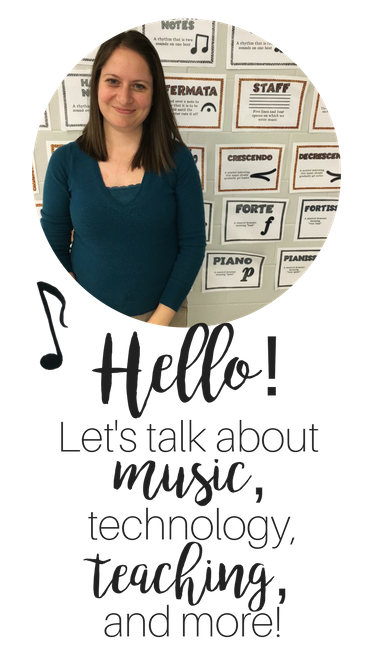 I have often heard music teachers talking about teaching ta and ti-ti and sol-mi to Kindergarteners. 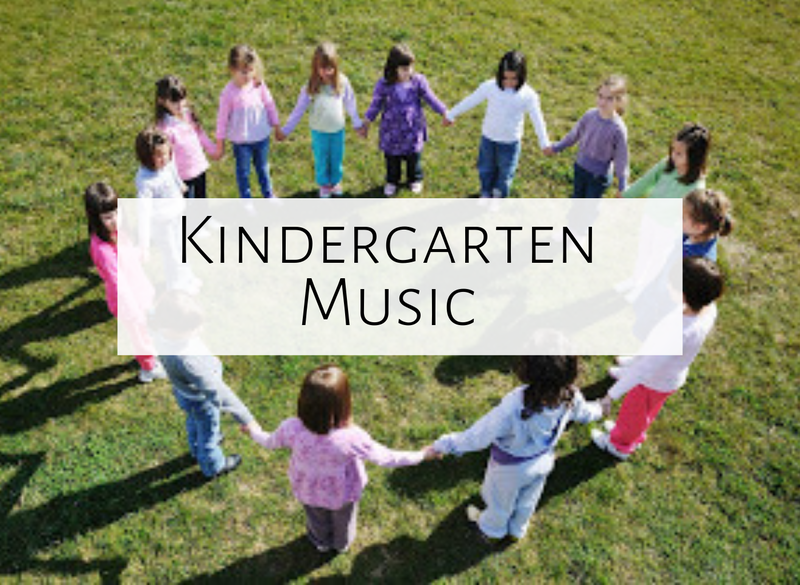 Perhaps they see their kids more often than I do, but my kindergarteners are not quite ready for those concepts...besides their development and frequency in which they come to music, I think much can be said for experiencing music in Kindergarten. We move fast, we sing quietly, we use different types of voices, we pat the beat, we clap the rhythm, we dance. The concepts covered in Kindergarten are so foundational; they need to understand loud/quiet, fast/slow, high/low, beat, and rhythm well in order to move onto more difficult concepts. Don't worry about getting them to read and write music yet...let them experience! Kindergarteners are full of wonderment and awe, and they are also very funny. So have fun with them! Smile, laugh, take them on a journey (maybe on Engine No. 9, where you find Lucy Locket, and then when you get off the train you get stung by a bee!) Also keep your ears open for the awesome things they will say. They constantly make me laugh...I love that some of my classes have aides coming with the kids because then I have another adult to look at after a kid has said something very funny! 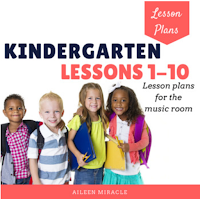 One of my favorite five-year-old teaching stories happened when I was teaching Sunday school music, many years ago. For some reason I thought it was a good idea to tell them about Jesus' 40 days in the desert. As soon as I said the words "40 days," a kid yelled out, "MY DAD'S 40!" and another kid exclaimed, "I CAN COUNT TO 40! 1....2....3....4...."
That, to me, is the epitome of Kindergarten. They are funny, they are joyful, and they are ready to learn! 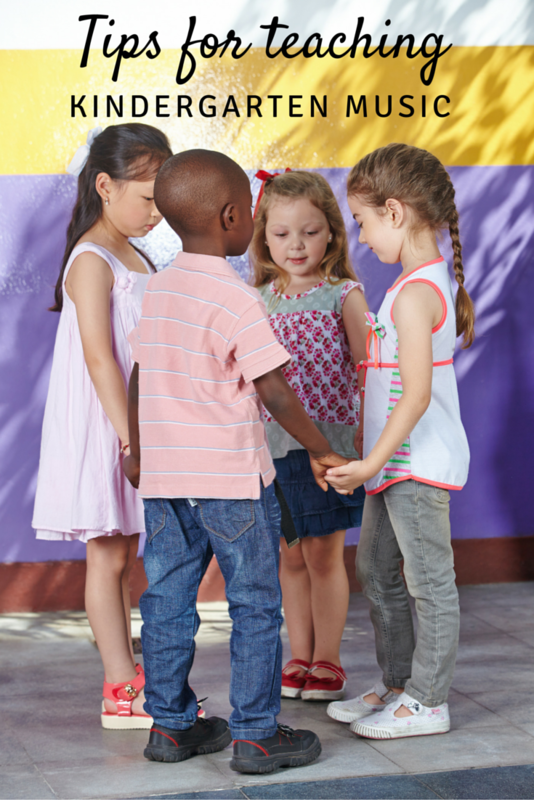 Looking for an activity Kindergarteners will absolutely LOVE? Click here to sign up for my email list; you'll receive the bunny game (a favorite of my students) for free! 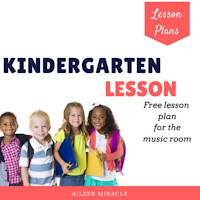 If you're still looking for Kindergarten ideas, I have a free Kindergarten lesson; you can download by clicking below. Lori at Sweet Sounds also wrote a great blog post about Kindergarten music here. Anything you want to add about Kindergarten? Please comment below! LOVE this post. I work with Preschool to age 7 and yes, you have to keep the energy up. I always feel like I'm in a performance! But it's so fun! Every point you made is just right: routine is a must and keeping it simple makes it a successful experience for them and the attention span! I have a rule of thumb...listening activities are no longer than one minute! Thanks for such great reminders for a successful class experience! I am so in need of new ideas. I have kindergarten for 55 minutes after they just had lunch and recess. I use most of these but oh, the energetic level has turned into I wish I could just show them a movie. Thanks for reminding me they need plenty of discover time.